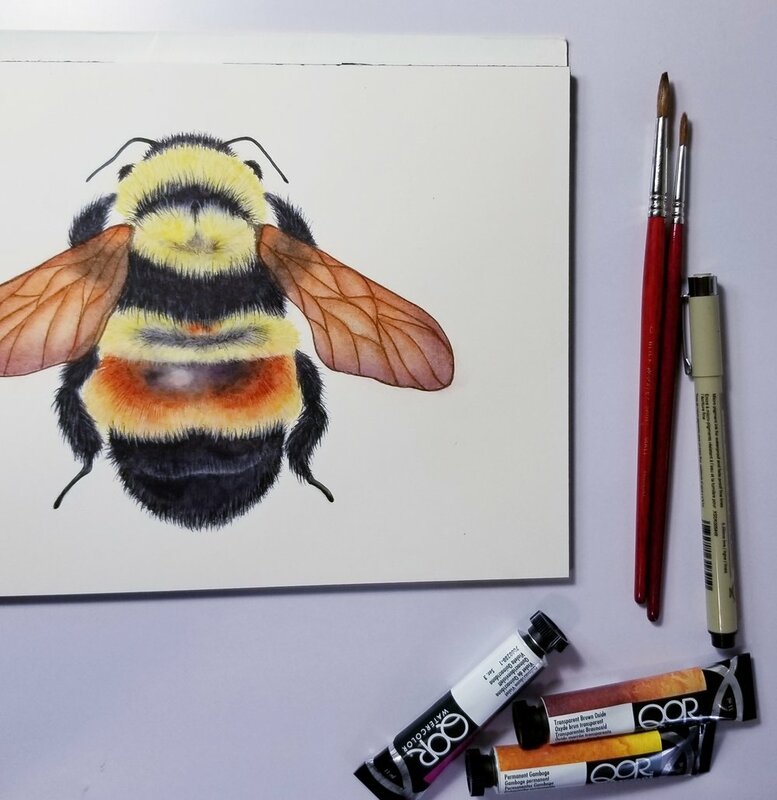 I was recently given the awesome opportunity to try out some new paints. 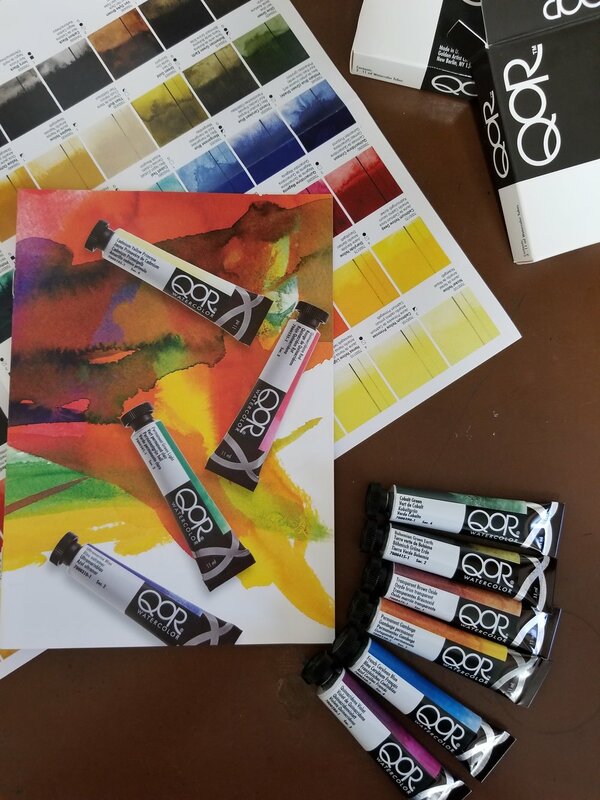 After being contacted by a company known for their acrylic line, Golden Artist Colors, who have just launched a brand new line of modern watercolor paints, they wondered if I might like a sample of some colors to try, ...heck yeah! If you're a watercolor painter at any level, you've probably seen the cost of a tube of professional grade paints, thank goodness they are super concentrated and go a very long way when mixed with water! Anyway, I've never been offered free paint before so I jumped right over to their website to check it out and was very impressed with the color charts and choices! QoR (I believe pronounced core) had some very interesting color combinations and names for colors, like French Cerulean, and Bohemian Green Earth, well ok they had me at free paint but for a color geek like me, yes please! I chose some colors, which was a tough decision to make, and they arrived a short time later in beautiful new tubes of brilliant pigments. My paint box and pallet have slowly grown and evolved over the years and have maybe 4-5 different brands of watercolor paints, some I like better than others, some I prefer for certain colors more then others. After playing with these paints for a couple of weeks now, I have to say the unique colors did not disappoint and the granulating qualities (which is the way the paint moves and separates into it's own lovely layers of texture, sometimes creating those little "happy accidents") are superb! That's something that has always fueled my love for colors and for watercolors in particular. So I'm going to continue to play with my colors in my happy place, and I hope you'll check out the QoR line if you're a painter too, I do think they're quite fabulous!